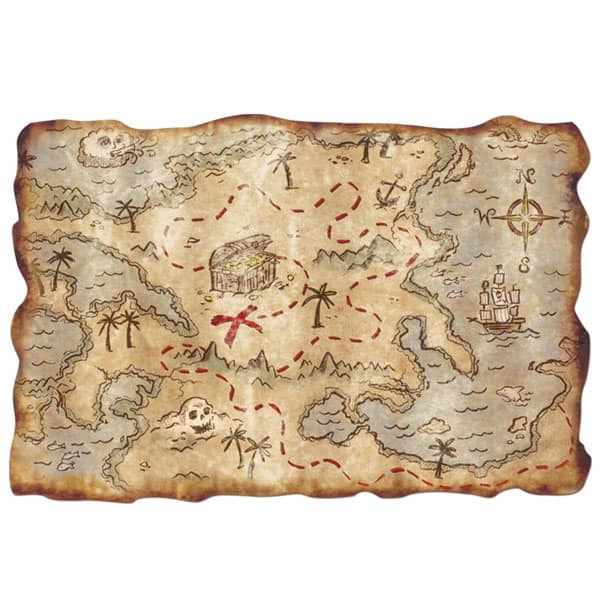 Pirate Treasure Map Sold Single. Made from a textured plastic. Measures 12 Inch x 18 Inch. Great Fun for Children and Adults. Suitable for all Pirate and Halloween theme parties.